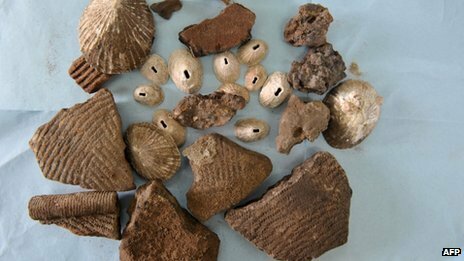 The current floods in Senegal, particularly in Dakar, have unearthed 5000 years old artefacts: pieces of jewelry, pottery, iron tools dating back thousands of years. The discovery was made at a construction site in the capital Dakar. The objects could date back between 2000 to 5000 BC. Proper carbon dating will probably give us more accurate information, and would certainly yield information about the rich history of Dakar, of Senegal, and that part of Africa. Could this new discovery be related to the Senegambian Stone Circles (3rd century BC to 16th century AD)? or be from ancestors of these structures? Could these be related to the lost Atlantis the island which sank into the ocean in a single day? or could it be simply coming from a different civilization which flourished by its work of iron and pottery? Time will tell… in the meantime, enjoy this article on BBC.